On December 29th and 30th, taking advantage of the Christmas vacation, we had a get together with girls in Brignano, Bergamo (Italy). 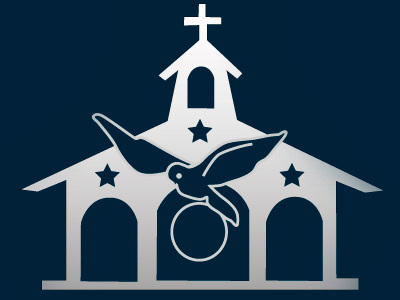 The group was a small army made up of 20 girls, along with the two protagonists of the gathering, the Child Jesus and Mother Teresa of Calcutta. 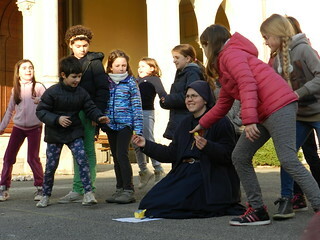 During these two days we had games in the yard, meals together, moments of prayer in the chapel that ended with a kiss to the child Jesus, and two workshops, one to make a wool basket of different colors and another one to prepare a delicious cake made out of cookie and pudding. On the first day, in the afternoon, we prayed the Rosary after gathering the intentions for which we wanted to offer it. Afterwards we had dinner, and then we saw the movie “Festa in Casa Muppets ” (A Muppets ’ Christmas Carol), an interpretation of the work of Charles Dickens on Scrooge, a rich and selfish man (and therefore, unhappy) who lives a bitter existence, until one Christmas Eve he is visited by three spirits that helped him understand the urgency to change his life. Another game we did was quite an adventure in which we had to help the child Jesus find the lost gifts that the shepherds and the Kings had brought Him. We had a lot of fun and learned a lot about the life of Mother Teresa and the importance of charity and mercy, especially in this Holy year!